When on my way to a commercial shoot I spotted this location on the side of the road and once I was done I stopped and took a few sequences of shots and this one was my favorite. This will be a great spot when all the leaves start to come back or in Autumn when they loose them. I will be back for sure. This would be a great location for a model shoot. Just got to find me a model. 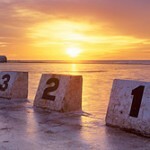 5 image stitch at 24mm. 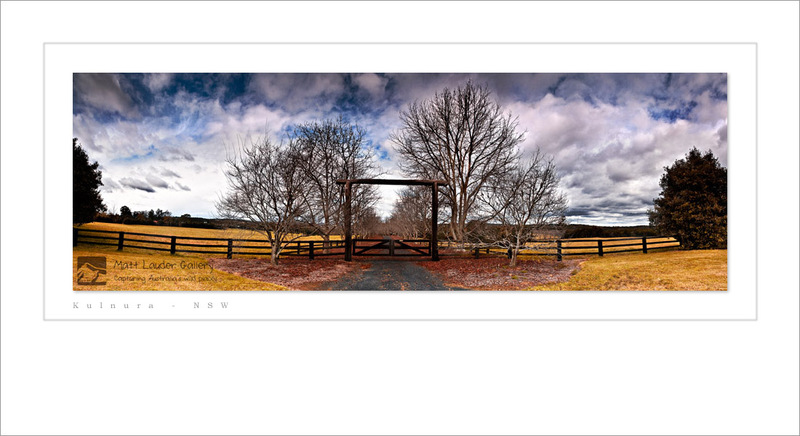 This entry was posted in Uncategorized and tagged Digital Panoramic Photography, kulnura nsw, landscape photograpy. Bookmark the permalink. Great shot Matt! I really like the colours you got in this! How far out of Sydney is it? Thanks Dylan. This place would be about an hour from Sydney. Off the main freeway that links between Sydney and Newcastle. Looks like a great little area! Definitely worth another trip out there i think. nice one Matt, would like to see it with a desaturated sky ah la Peter Eastway! what do ya think? Sounds good fletch. I have emailed you the desaturated version. I love the tree line going into the distance through the frame of the gate! Nice spot by the looks of it, and a very nice shot of it, a lot of potential here. I think I’d like an opinion from Flemming regarding the levelness (is that a word?) though. love the photo….i actually grew up in kulnura so i have many memories (and photos of course) from the town, your photo is amazing it gives an incredible sense of beauty to a place that has not only withstood drastic bushfires but is seen by some ppl to be just another small coutry town isolated from (manufactured) beauty and what society deems to be cultured.